Welcome to the Angular series. In this blog series, we are going to go through a detailed example of how to use Angular to create a fully functional client application that consumes the .NET Core 2.0 Web API server. 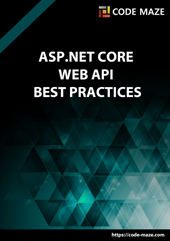 If you want to learn how to create the server part of this series by using .NET Core 2.0 Web API, you may do that by visiting the page: .Net Core 2.0 Web API. With the Angular tutorial, we are going to dive into the client-side part of our complete application. You’ll see how easy it is to use Angular to consume the REST API we have created on the server side with Web API. While we progress through this Angular tutorial, we will get familiar with modules, services, components and many other features of angular. We are going to create reusable services and use some third party libraries to complete the client part of the app. After you are finished with the Angular tutorial, and you want to learn more about Angular Material, we have a detailed series about that as well. Just visit this link Angular Material Series and have a good time learning how to make Material applications with Angular.